I've been needing a pincushion for sewing and thought I could probably make it with supplies I already had. It was simple and quick, and it works wonderfully! I was pleased with the fact that I re-purposed the can into something else. 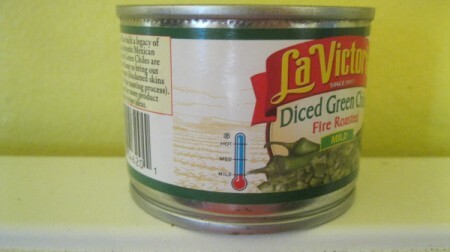 1 small tin can, from tuna, chiles, etc. 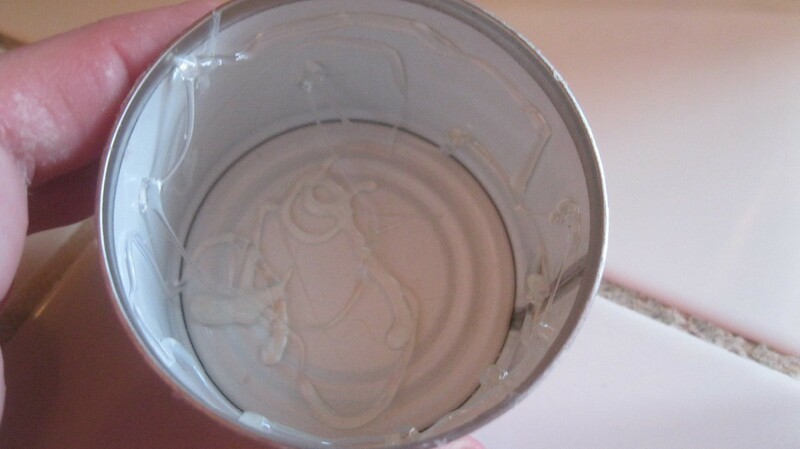 Take the wrapper off of your can. Measure the width of your can and cut a strip to cover the outside. 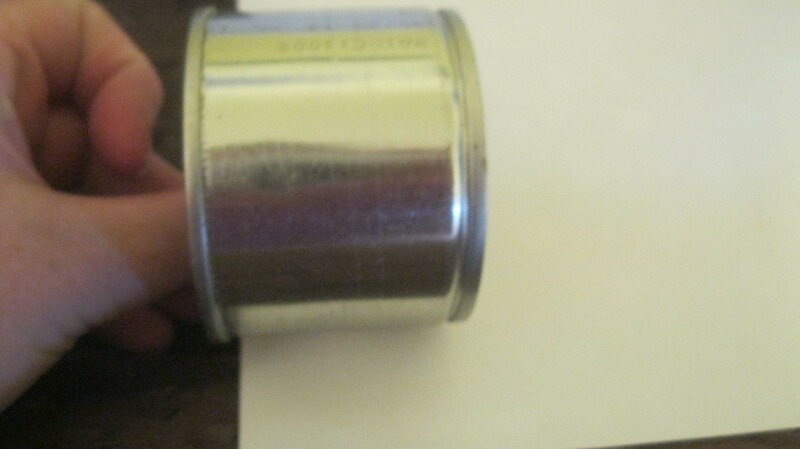 Use glue, a glue stick, or modge podge to apply the paper. Let dry. 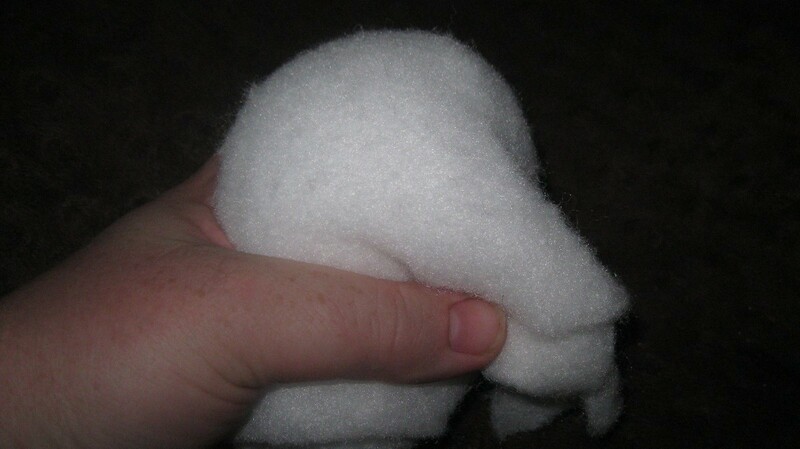 Get a handful of pillow stuffing or batting. 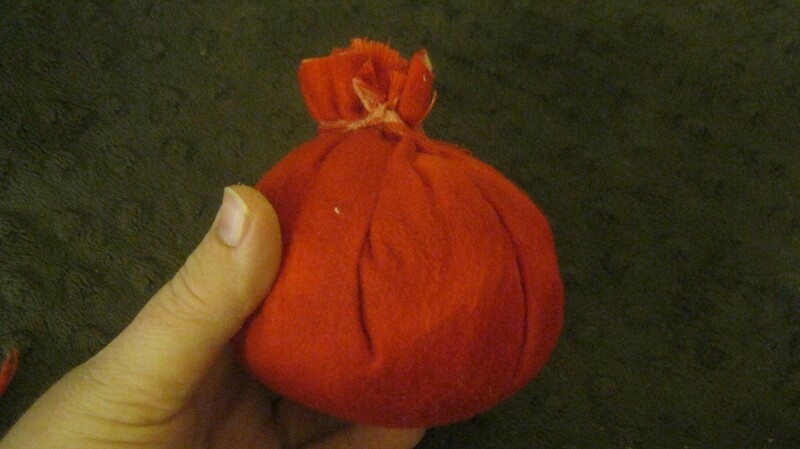 Make a ball out of it. 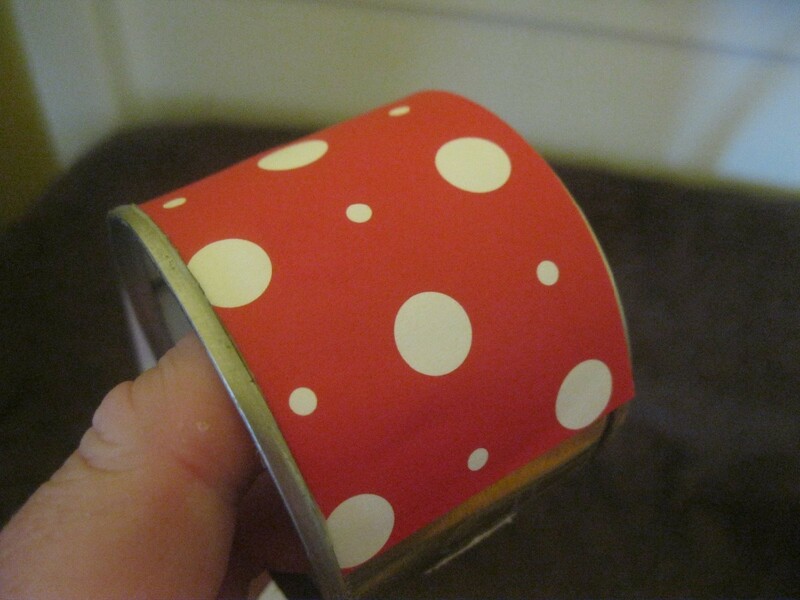 Cut a strip from your fabric to tie the fabric around the batting. 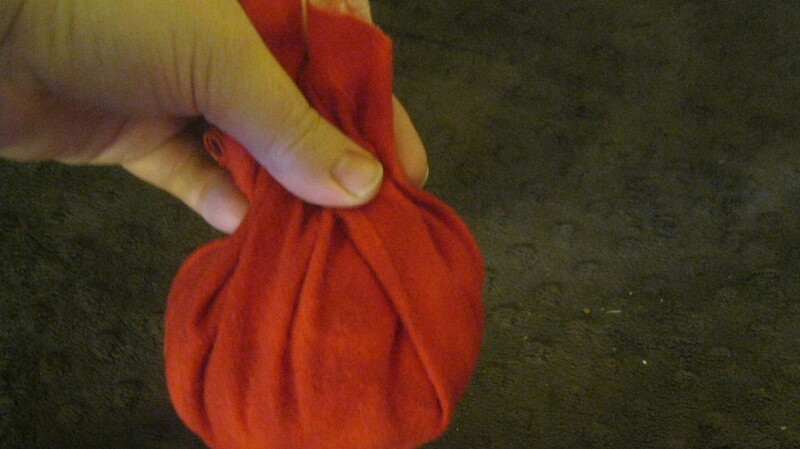 Wrap your fabric around the batting. 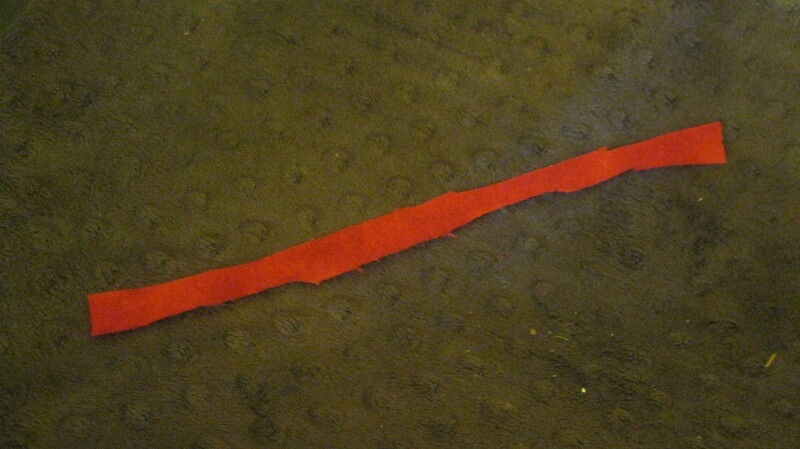 Tie it tightly with your strip of fabric. 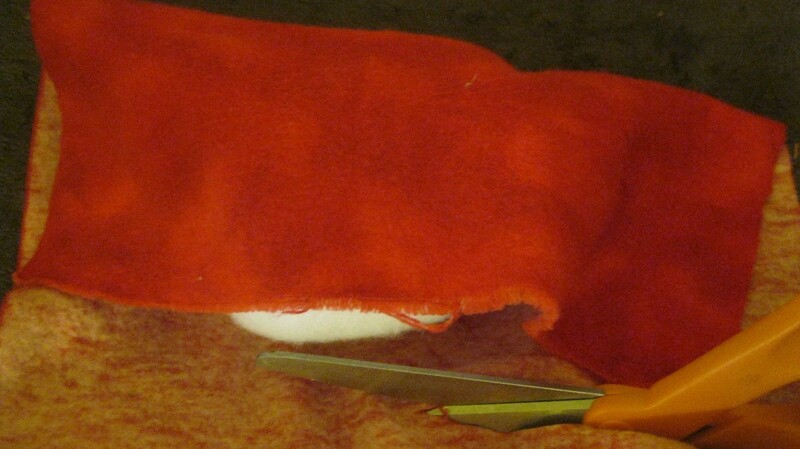 Cut the excess fabric off. Put a bunch of hot glue on the inside of your can. 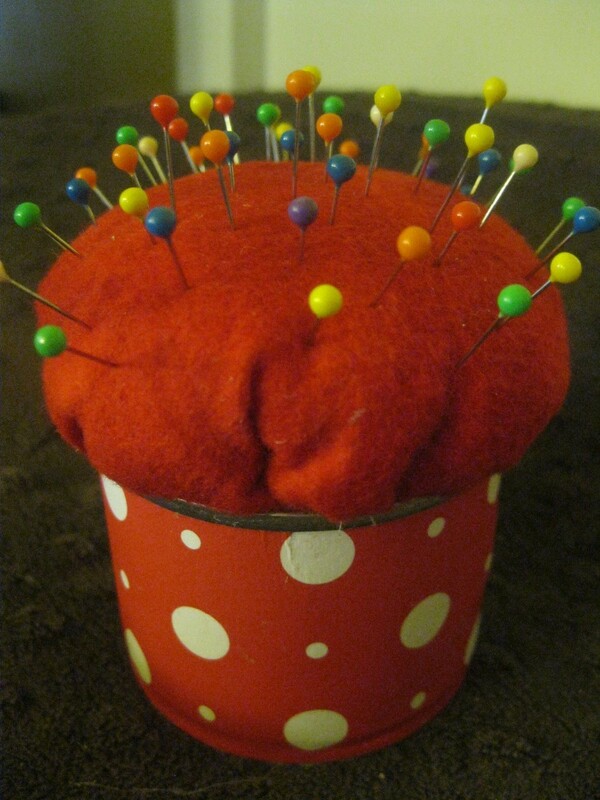 Put the pincushion into the can, pushing it in as much as possible. This is really cute, my kids would love making these! 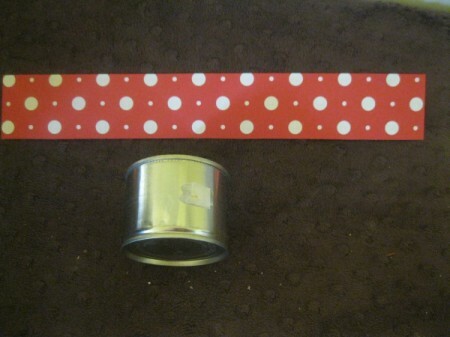 My Grandmother made something similar using a Tuna can, but she did not cut the top of the can all the way, leaving about 1/2 to 1/4 of an inch holding in on, then folded the top up to look like the back of a chair, or "throne"! 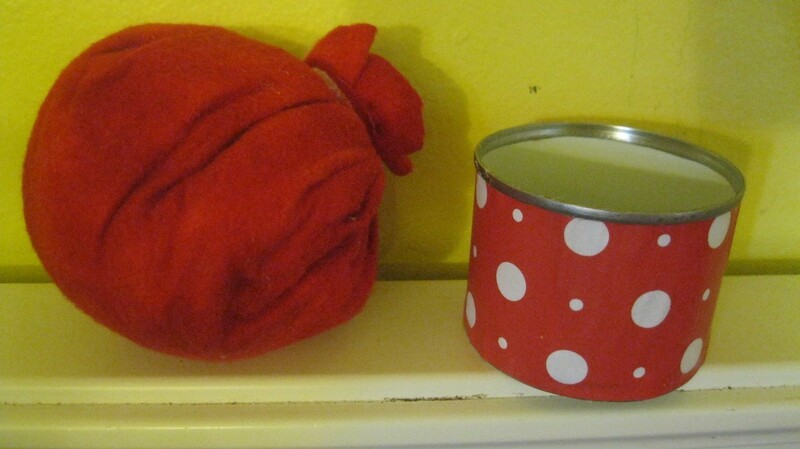 She wrapped the top with batting, then a circle of fabric big enough to meet in the back, gluing it down, then glue an old broach, or button, or small silk flower to cover the gathered edges, then filled the bottom of the tin as you did, making it the "seat". 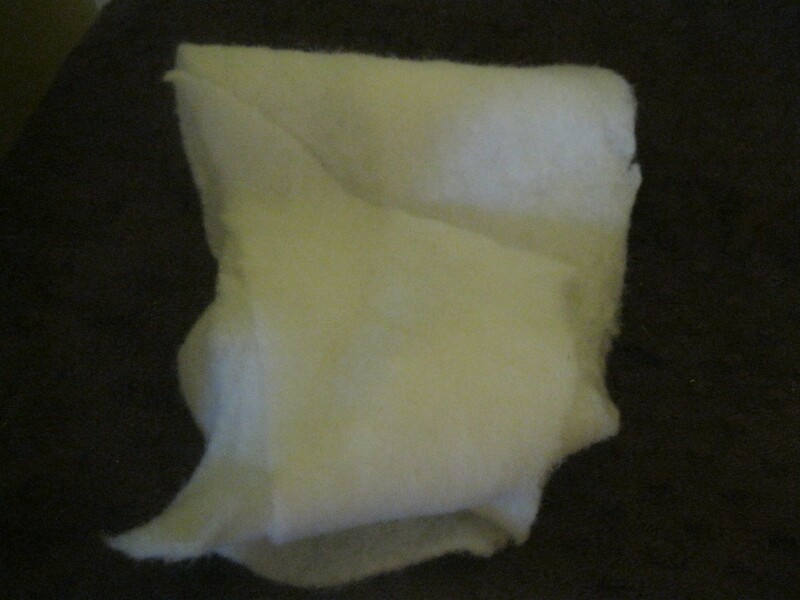 The top, since it was padded with batting, would also serve as a pin or needle holder. 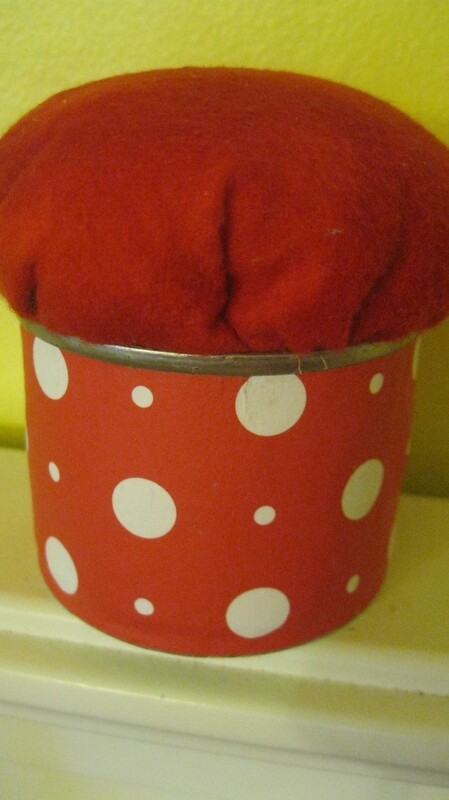 I so wish I still had one that she made oh so many years ago! Great idea! You could dot hot glue or use some rubber shelf liner stuff or something like that on the bottom to keep it from sliding around.